The Government is providing an additional £150 million to schools per annum to improve provision of Physical Education (PE) and sport in primary schools. This funding, provided jointly by the Departments for Education, Health and Culture, Media and Sport, will be allocated to primary school head teachers. The funding is ring-fenced and therefore can only be spent on the provision of PE and sport in schools. Huby CE Primary School uses its funding in various ways to improve the PE and sport provision across school. From September 2013, schools have been held to account over how they spend their additional, ring-fenced funding. Ofsted will monitor the use of the Sport Premium and its impact. What is Huby C E Primary School doing with the PE funding? This year the Sports premium will be spent on a number of things. During Autumn term, we have employed a Martial Arts specialist to develop class teachers skills and further encourage our children to lead a healthy and active lifestyle. Yet again, we have employed a gymnastic specialist for the Spring term, as results from our PE questionnaire found that a large majority of our children enjoyed gymnastics with a specialist teacher last year, and also provides an opportunity to continue up-levelling class teacher gymnastic skills. This will ensure that we continue to build on the standard of PE and Sports provision achieved over the last two years. In addition, we have ‘signed up’ to all of the local competitions that we are able to take part in, to allow our children to flourish in competitive situations. 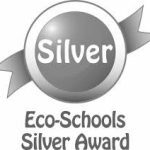 We have had many children progress to the finals of competitions this year already, including Tag Rugby, Cross Country and Netball. The competition aspect of sport is a priority at Huby as we want to see our children flourish and achieve great things in a range of sports. All pupils participate in high quality PE lessons for at least two hours per week. 80% of pupils in KS2 participate in an extra-curricular sporting activity. By the end of Year 6, (2017-18) 100% of all pupils can competently swim 25 metres in our outdoor pool, using a range of strokes effectively. They are also able to perform safe rescues in water based situations. A range of extra-curricular clubs run by staff across the school year to promote Healthy living. These include Netball, Football, Tag Rugby, Rounders, Kwik Cricket. Year 6 pupils trained to be Sport Young Leaders to lead PE based activities at lunchtime. Maintain participation in the School Sports Partnership. A PE and school Sport Specialist employed through the Partnership to positively impact on PE and School Sport at Huby e.g. 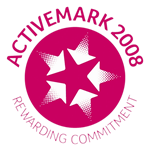 support and development of Gold Active mark, Primary Sports award provide support for PE subject leader role and work on leadership opportunities. Running sport competitions and increasing pupils’ participation in Level 2 School Games: KS1 Fun Run, Cross-Country yr 3-6, Football yr 5/6, Swimming yr 5/6, Hi 5 netball yr 5/6, Quicksticks yr 3/4, Tag Rugby yr 5/6, Key Steps Gym yr 3-6, , Kwik Cricket yr 3/4 and 5/6, Mini Olympics KS2, Rounders KS2. Raised profile of Intra house Level 1 competitions within school – in line with the focus on competition within the PE curriculum. Every class takes part in one Level 1 competition per half term. Fund Professional Development opportunities for teachers in PE and School Sport. Specialist coaches supporting PE lessons in selected classes (based on staff confidence/expertise levels) enabling staff to use ideas/skills from the CPD sessions. Hire qualified sports coaches to work with Huby staff when teaching PE, as well as leading after school clubs. Ensure that challenge is evident in PE lessons as staff are moving the learning on quickly, providing challenge to the most able. Pupil voice regularly carried out so children’s voices are heard. Develop opportunities for children to be inspired in the PE curriculum. Sports Crew established to encourage all children to lead a healthy, active lifestyle. New resources/ Visitors to school for workshops/ Trips. Develop OAA (Outdoor and Adventure activities) and residential trips. Children competing in competitions and some progressing to the finals (KS2 cross-country, Netball, Tag Rugby, Kwik Cricket.